Spring steel fasteners are produced by four slide, punch press, and progressive die machines. The ability to shape spring steel, it's inherent strength and toughness, and it's amazing memory allows Apex Fasteners to offer a vast array of fastening solutions to address your unique application requirements. With so many solutions call us for guidance in finding the right product for the application. Expansion-Type Speed Nuts provide fast, vibration-resistant attachments in blind or center-panel locations where only one side is accessible. They snap easily into square or round holes and are self retained by spring legs. Special locking tabs are provided where permanent fastener retention is desired. As the screw is driven, it expandes the spring legs, locking them over the panel thickness and at the same time providing a double-locking action on the screw. Apex Fasteners offers wide variety of all metal hole plugs and plug buttons in a range of sizes from 3/16"-2" and accommodate a wide range of panel thicknesses. Larger sizes may be available by special request. 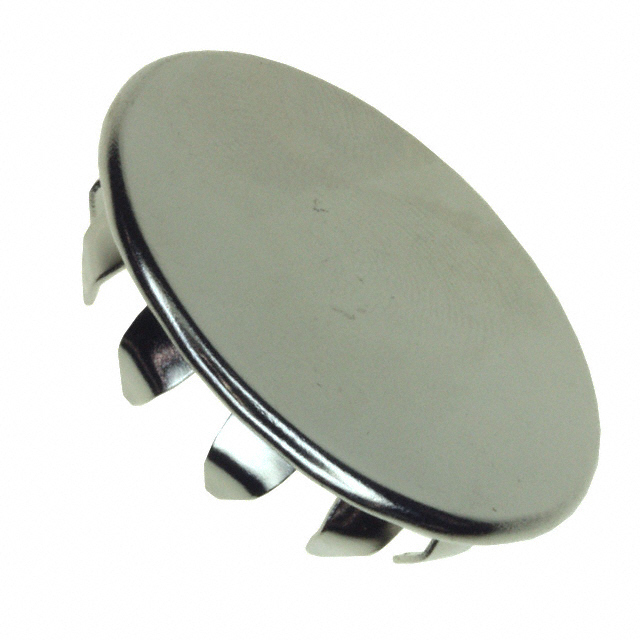 Our hole plugs and plug buttons are typically available in plain steel or with a nickel or zinc finish. Brass hole plugs and stainless steel hole plugs are available only by special order. Nut Retainers, also known as Cage Nuts, combine the best advantages of spring steel fasteners with the high strength of a multi-threaded nut. They snap readily into bolt-receiving position at panel edges or center panel locations and retain themselves in place. Their application does not require special tools or skills. They can be applied at any convenient spot along the assembly line. The nut floats within the spring steel cage more than enough to offset normal hole misalignment. They are excellent fasteners for blind location assemblies. U-Type and J-Type Nut Retainers are formed from the combination of a square nut and a U or J Speed Nut. They lack the floating properties of a Cage Nut but provide increased thread engagement over the normal U-Nut or J-Nut. Palnut® fasteners include a broad range of spring steel fasteners for both threaded and unthreaded applications. Threaded applications may require Palnut® lock nuts which can be used alone or in combination with ordinary nuts. Threaded applications may also require U-Nuts, Wing Nuts, Acron-Tyepe Nuts, tension nuts, On-sert® fasteners and even Pushnut® bolt retainers. Unthreaded applications may require self-threading nuts or Pushnut® fasteners. Palnuts® come in a variety of sizes and design features to insure the success of your application. 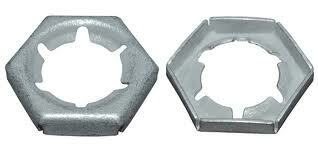 J-Nut and U-Nut Type Speed Nuts are made of spring steel and have a single thread of engagement. They press easily into self-retained positions over panel edges or in center-panel locations through a rectangular hole. They are ideally suited for blind assembly or hard-to-reach installation. They offer floating alignment to speed production and lessen rejections. J-Nuts and U-Nuts come in a variety of designs to insure the secure and successful assembly of your application. The primary difference between the U-Nut and J-Nut is the full bearing surface on the the lower leg of the U-Nut. Flat-Type Speed Nut fasteners are flat, one-piece, self-locking, heat treated, spring steel fasteners that replace threaded nuts, lockwashers and spanner washers. They are fast and easy to apply, inexpensive, and provide excellent vibration resistance without the worry of rust-frozen screw threads in case removal is necessary. Self Locking Stud Receivers come in a variety of styles. Push-On Type Fasteners provide quick attachments to plain unthreaded studs, nails, tubing, rods, etc. They make a positive "bite" on metal, plastic or wood and grip securely even on very smooth, hard surfaces. No threaded devices are necessary greatly increasing the rate of assembly.. Attachments can be made permanent of removable. Push-on fasteners come in a variety of shapes and sizes with features to meet your application's needs. Grooveless retaining rings are yet another unthreaded stud receiver with 360 degrees of bearing surface for maximum holding power.